Upper Dolpo area lies beyond the Himalaya and is considered one of the most remote and isolated from modern civilization. It spreads out 2100sq miles area adjoining Nepal’s north –west frontier with Tibet. 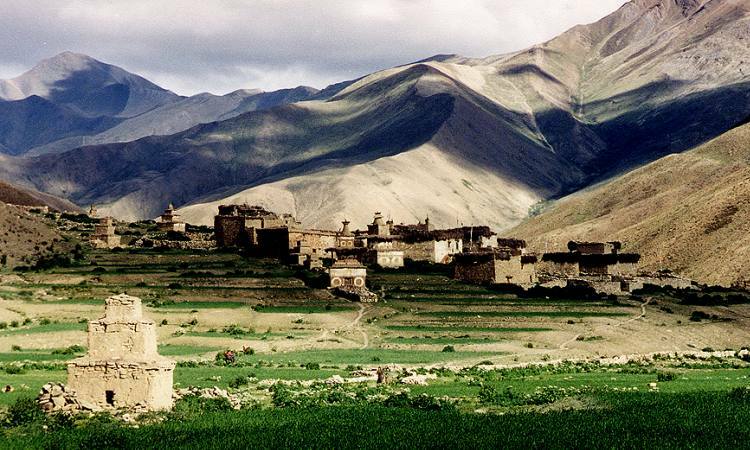 The people of this area are the Tibetan migrants living in around 38 scattered villages since time immemorial. Here, one can experience the traditional Tibetan culture and people’s way of living. Upper Dolpo is also known for exceptional natural beauty and abundance of alpine fauna. Trekking around this area mesmerizes the travelers with splendid views of Api Himal, Saipal and Dhaulagiri. Besides Buddhist monasteries, unique centuries- old human civilization at this high altitude is another remarkable aspect of trekking. Most of the people are still engaged in the salt trade from Tibet.